Title of Passage is a document given to people who have contributed to the discovery of a point of Passage. Printed on high grade paper and illustrated with colour reproductions of Obscure art. 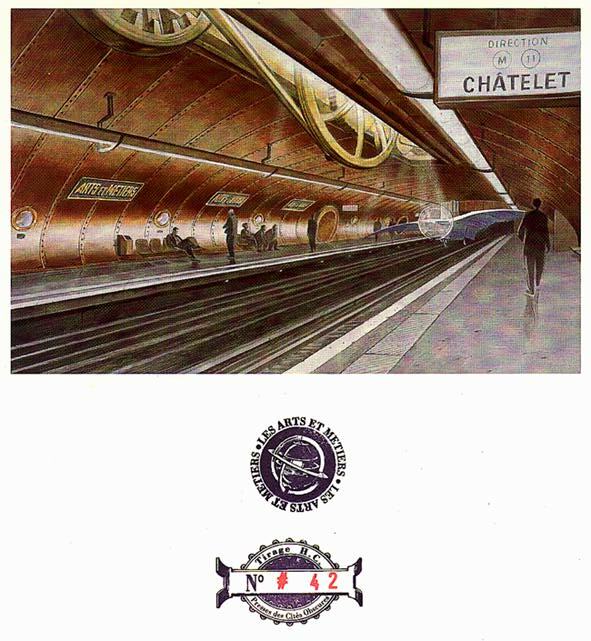 The one showing the Arts et Métiers subway station has been signed by several famous persons.